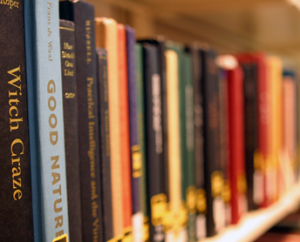 This past May, Emory Libraries launched Course Reserves, a new tool for Library patrons (staff, faculty and students) to access course materials identified by faculty for their classes. Physical materials (books, videos, music, etc.) 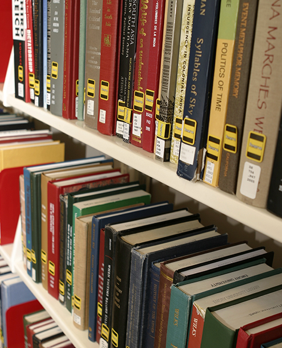 are kept on reserve in various Emory Libraries, and electronic materials are available through Course Reserves. Course Reserves is replacing an in-house-designed tool called Reserves Direct. Course Reserves is also known by its commercial name, Ares. The Library has a long relationship with the vendor, Atlas, which produces interlibrary loan and reading room management systems (MARBL is also working with them). The goal of the project was to preserve the current level of service and enhance whenever possible.. All of the libraries which offer course reserves (Business School, Law, Oxford, Pitts, Health Sciences and Woodruff) are now using this tool. • The ability to archive and reactivate past course materials, group course materials by subject and dates, automated email notifications for newly added materials, system generated process statuses for pending requests, and much more. “We are looking forward to getting student and faculty feedback this fall, especially in regards to Course Reserve’s new features,” says Amy Boucher, Access Service team leader. Training materials and videos are also available on the library’s Course Reserves pages.